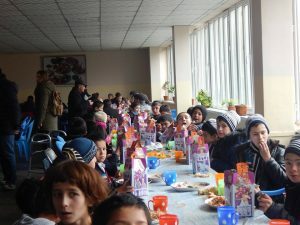 Starting in 2013, FLEX alumni in Tajikistan formed a relationship with the Hissor Orphanage, an orphanage that is located outside of Dushanbe, Tajikistan’s capital, and does not receive as much government and community support as those orphanages in the capital. 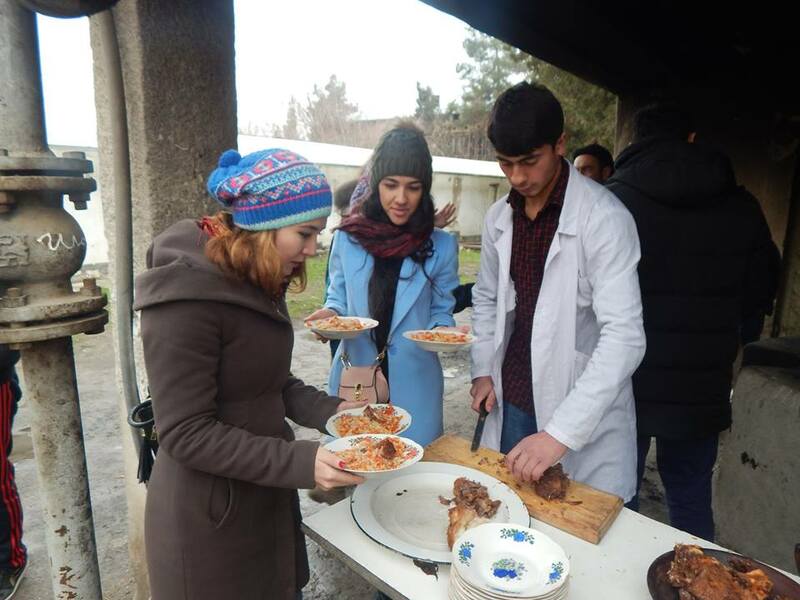 From weekly English classes with the children to Nowruz (Persian New Year) celebrations, alumni always keep the children at Hissor in their minds and in their monthly alumni plans! 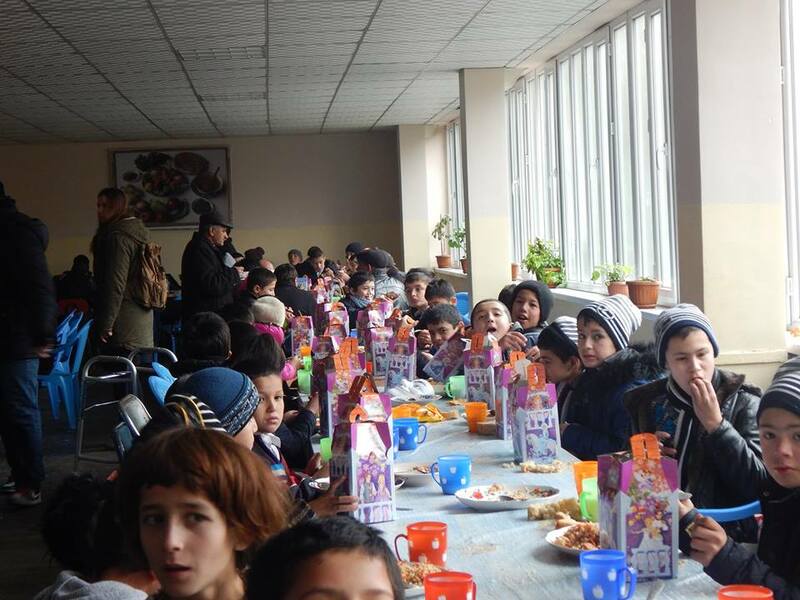 Last December was not an exception; alumni worked together to raise money and organize an amazing New Year Party for the 310 children at the orphanage. 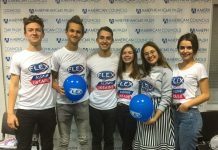 On December 24-25, alumni in cooperation with the telecommunications company Tcell organized a large-scale event to celebrate the New Year with the children at the TCell office. 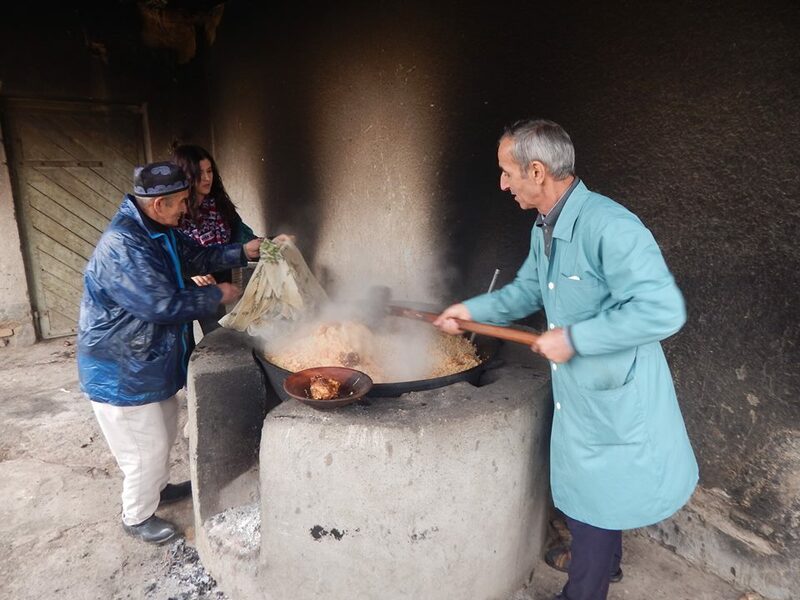 All 310 of the children received presents and enjoyed traditional foods from Tajikistan, including the favorite food of the children, Osh, also known as Plov. While some alumni cooked the food, others put on a New Year’s program for the children including time with Santa Claus and his magical helpers. 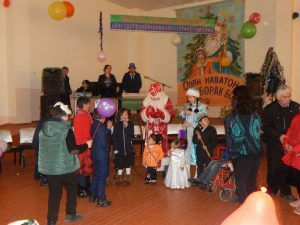 The special guests sang songs, played games, and danced with the children. 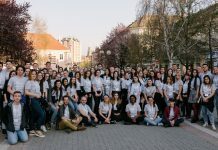 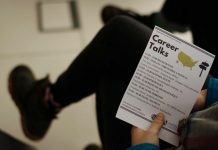 In order to pull off the celebration, FLEX alumni not only volunteered their time, they also fundraised half of the costs for the event, with Tcell offering to match the alumni funding. Alumni raised nearly $300 by holding various fundraising in preparation for the event. 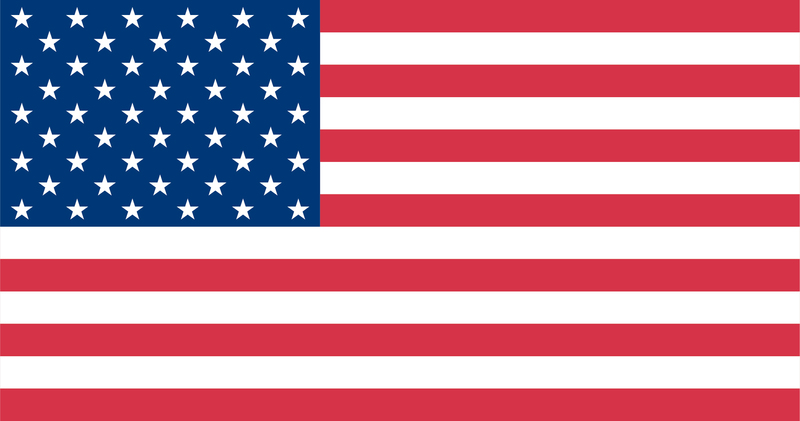 Alumni will try to keep this tradition going as long as they can. 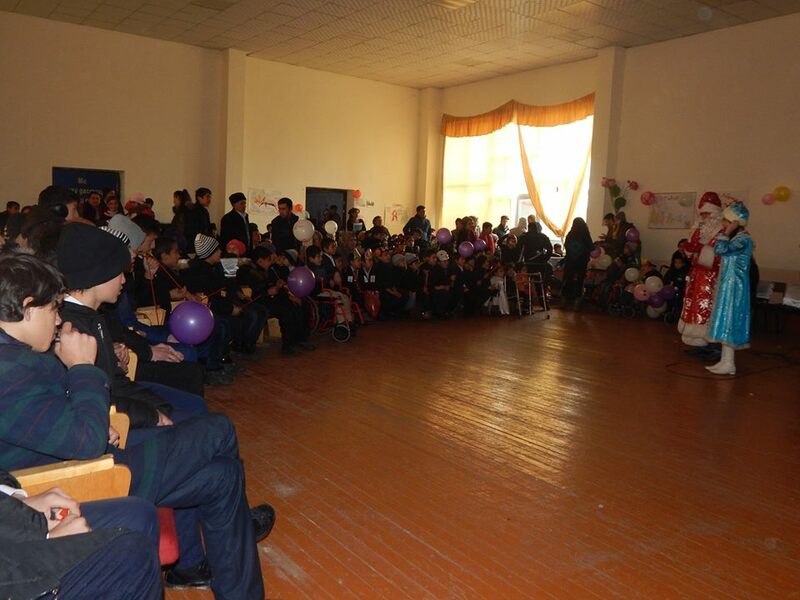 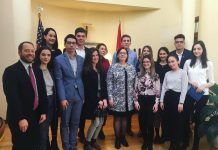 Through all of these projects, the FLEX alumni community in Tajikistan really has come to care for the children at the Hissor Orphanage, like younger siblings, and are happy to have created such a lasting bond.